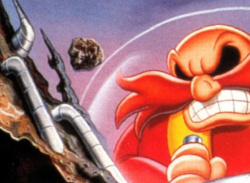 Dr. Eggman (aka Dr. Robotnik) has taken over Mt. Mobius and turned it into a mechanical base. He is using energy from the magma flowing under the volcano to power his Veg-O-Fortress. He has the power to transform helpless animals into robots. Sonic the Hedgehog must take down this fortress to free the enslaved animals. The only way to make that happen is to trigger an eruption in the volcano it's built on. Sonic knows this can be done by removing the Chaos Emeralds that keep the volcano stable. 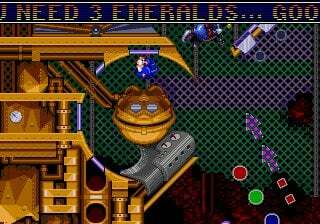 Dr. Eggman, however, is also aware of the fragile relationship that exists between the emeralds and the mountain, and he's set up an elaborate Pinball Defense System to make sure the precious jewels don't go anywhere. 2 stars? This game is a very good pinball sim! Much like virtually any Sonic game I would advise you to grab the Sonic Mega Collection instead for 15 to 20 dollars rather than buy each one individually for eight bucks, but this is a solid pinball sim with large creative levels. I have Sonic Mega Collection but this game remains one of the least played. 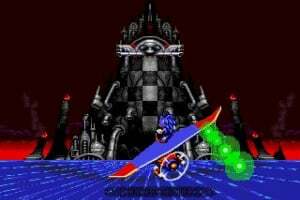 I agree with Damo, I just can't get into Sonic Spinball at all. But yes, Sonic Mega Collection is a better deal - if you don't like Sonic Spinball, there's still several games you should like. Thats the problem with Virtual Console at times like this; some of the games are already in a collection title that offers more value for money. 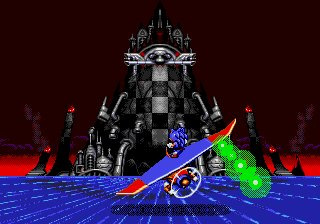 I actually like Sonic Spinball very much. It is not an easy game to get into, but once you do it is quite fun and challenging. The ability to move the ball (sonic) with the control pad adds much more dept and I think it makes up for the wacky physics. lol 2 stars huh, knowing how soft you guys are on reviews i will make sure to avoid this one! I do remember playing a little bit if it waaaay back in the day, i guess it was fun but don't remember anything about it. Either way i just want to play excitebike, is that too much to ask? Two stars is being generous. I'm a big Sonic fan, but even I can't put a seal of approval on this travesty. This game is down there with Shadow the Hedgehog and Sonic '06. I played it on GameCube and it was the greatest game ever!... if gaming means boredom, of course. Just not worth it, the Sonic skin is not enough. I haven't actually downloaded this, but I own Sonic Mega Collection and this is one of the worse sonic spinoff games you will find. It just isn't that much fun. If you simply must have this game, I wouldn't pay Wii Points for it. You can get a used copy of Mega Collection for PS2 or Gamecube at a game store or on Amazon for very cheap, and you'd get the very best Sonic Games to go along with it. Hardly a good sonic game. Sloppy game, as admitted by the developers themselves. Get Alien Crush, or wait for Dragon's Fury which is even better. Umm yeah same I'm not getting this game, I don't have it on the mega collection thing but this game doesn't sound like it's worth the points. Who plays pinball games, anyway!? A waste of precious Wii points. 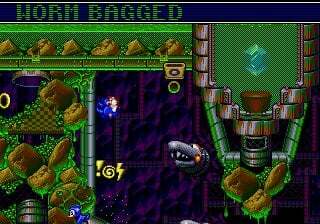 I had this game way back on the Mega Drive - it was rubbish. SEGA made a huge mistake with releasing this game. One of my all-time favorite games! Very fast-paced and super fun. I used to play for HOURS back in the day. i think 2 stars is rather harsh. the controls arn't spot-on, but they're far from broken. i would say the controls give this game a learning curve most people won't get past, but its far from impossible... i know because i have beaten it. the game's strong point really is the clever level design. definitely not for everyone... if your able to get past the difficulty, this game can be quite enjoyable. Im not this biggest fan of sonic spinball but im the biggest fan of sonic. But this game does have some quite interesting gameplay and a high difficulty level which kept me coming back. Its the only Sonic game i have which i havent completed. And the only sonic games im missing are the sonic rivals series. This game does get more interesting the more you play it and eventually you will start to come back to play it more. Then again opinions on this game are mixed. Some hate it. Some love it. Although I have Sonic Mega Collection, I owned the original cartridge as well. This game isn't really too bad but it's not great. Granted, this Sonic spin-off was less than stellar but I;d rather play Spinball over the 2006 Sonic game or the poor GBA version of Sonic 1. 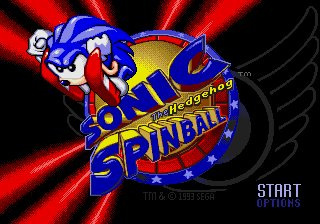 It's ironic and funny that Spinball had lukewarm reception yet the GBA title Sonic Pinball Party was well-received simply for being an actual pinball game. I'm sorry, but I like this game. At least it's better than Sonic 3D Blast. I have to get Sonic Rivals 1 and 2. And Sonic 06...Not looking forward to the Olympic Games with Mario. I don't want Mario and Sonic at the Olympic Games, but my brother does. Tell your brother that he should rent it, first. To me, that game looks like a Mario sports party but with Sonic characters (despite Sega developing it, I feel Nintendo may have taken over the game). Not a terrible game at all, but it's tough and probably not entirely worth 800 points. 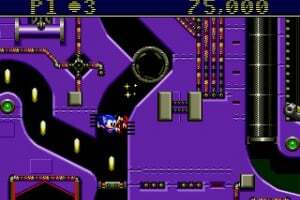 This is one very underated Sonic game. Overall, I feel this is one of the Sonic series's "better" & more clever spinoff games. (It's certainlly more fun to play then stuff like "Sonic Drift.") It's quite challenging trying to beat the game, but the best thing to do when first playing, is to just relax, and just take the game a li'l at a time. Don't try to beat it in one sitting, just treat it as a pinball game, and have fun with it. Eventually you'll get better, find the emerald locations, and over time, beat the game no problem. The bonus pinball games are quite fun to play to. Overall, I find the game challenging, fun, and addictive. 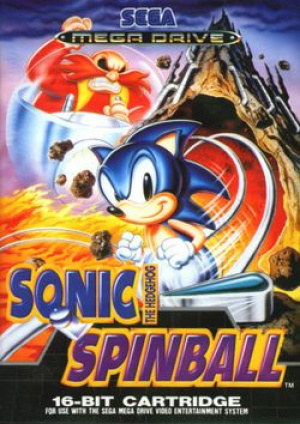 I remember this came out for the holidays, and whoever was working at the counter at the Babbages (now GameStop) said something to me regarding Sonic Spinball that was quite insightful: "The game was rushed for a Christmas release." This game had A LOT of potential, but unfortunately this game is the posterchild of 16-bit games that were rushed, i.e., bad frame rate, wonky controls, and less than acceptable graphics. Being a Sonic fan, I get a lot of hate for not liking this game, but trust me, this is a definate pass, especially at the 800 points pricetag. Just spend £10 on the Sonic Mega Collection on GameCube and think of this as an extra - it's not worth 800 points alone, but packaged with other Sonic the Hedgehog games, it makes an ok-ish change. A rubbish game that you should only get with Mega collection because you get the original classics with it and some other little gems. I actually love this game. You can't really compare it to any traditional Sonic game, but as far as video game pinball sims go, this is up there with the best in my opinion. I might have given this game a four star rating. It's good to see a variety of opinions in these posts. I really don't understand why everybody hates this game... sure, it's not traditional Sonic gameplay, as far as spin-off game go, I really like it. I never owned it in the MD, but I rented it about 4 times, and I have it on my Sonic Mega Collection. 4 stars in my opinion. Very fun game. I am not sure why people hate it so much. Very hard, but very rewarding once you complete it. I would say get it. I too like this game. I loved to play it through to the end as a kid and I still like to give it a run-through now and again. 4 stars imo. -I didn't know the USA version had different title music! Just heard it in the video. Darknessthecurse said that you should ALL try it out. You may or may not like it but try it. The game is quite tough to beat and just not enough fun to warrant the effort. If you're looking for some pinball action stick with Alien Crush or Devil's Crush. And if you need a Sonic fix, stick with the main 16-bit titles. Having played this a bit recently... it's not that bad. 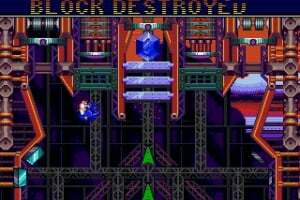 It feels rather sloppy, though, and very unfair - the levels aren't that tough once you know what to do, but they are large, they are long, they're very unclear on what to do, and they have death traps all over the place. In addition, they game is incredibly stingy on extra lives. You need to take your time and learn the stages, but the game rarely allows you to do so. Had the game had some contines or allowed you to get lives more easily, it'd have been more fun, but as it stands now, you need to invest a lot of time simply learning the level layouts and goals while repeating early levels over and over. The length of these levels make that awfully frustrating, and it's not helped by the fact that a single death often sets you back a lot. If you die on level 1, you might as well reset, because you have to do most of the work over again anyway. Again, not a bad game, but a terribly unfair and frustrating one. I rather like the Game Gear version, though. It's much easier, allows you to explore levels a lot more without danger of getting killed, and it gives you a slew of continues, making for a much more relaxing and entertaining experience. I really don't get why people badmouth it as much as they do - it's quite the competent game. The 8-bit Gear Gear version, I felt while much easier as you say, had much much worse play control personally. It's even more difficult in it to get the ball/Sonic to go where you want it to then in the 16-bit Genesis/Megadrive version. I've gotten so good at it, I rarelly even die personally. Are people even aware you can use the control pad/stick to move the ball/Sonic? Something you can't do in other pinball titles. Not as good as the normal Sonic games, but it's still very fun to play. Mario's Pinball was terrible, and so was Sonic's. By far the worst one on the Genesis. 2/5 stars. This Sonic game was an entirely forgettable experiment. Really boring and slow gameplay ("Sonic" and "slow" in the same sentence, what's up with that? ), the platforming sequences don't blend well with pinball-oriented controls - in short, it's just messy. But the music wasn't half-bad! The first stage's BGM (Toxic Caves) is one of the most underrated Sonic tunes. The boss theme is also remarkable, with a delicious metallic tone that only the Genesis' chip was capable of producing.